Halloween is one of our favourite times of year. We love seeing the creative costumes and transforming them into something sensational. Whether you’re hitting one of the awesome parties in Vancouver or aiming for Best Costume, professional makeup can make your costume stand apart. 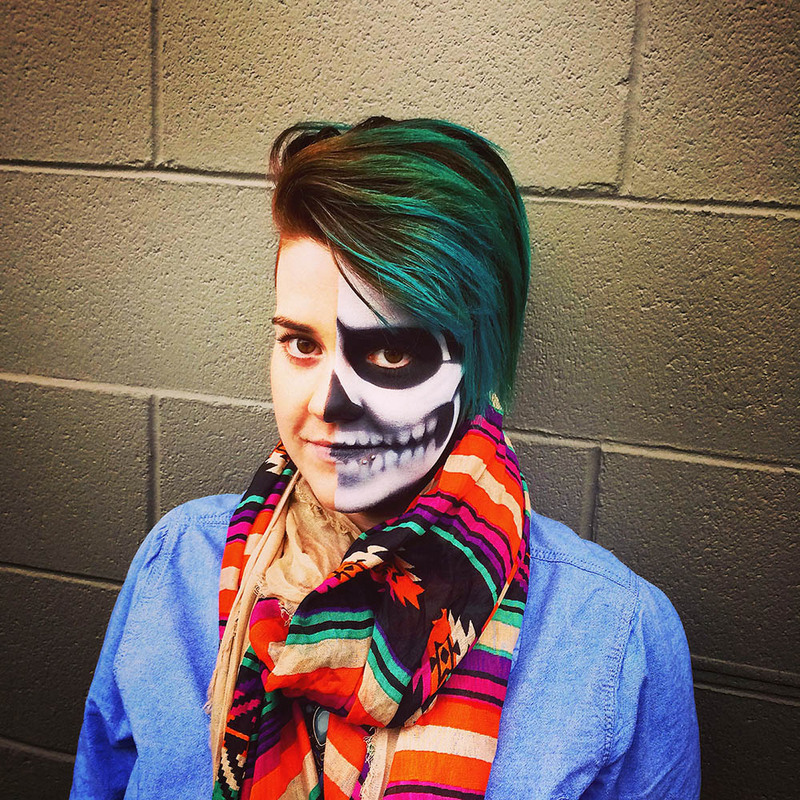 If you’re stuck for ideas, consider this spooky airbrushed skull. This general idea can be modified to create a half-skull, full skull, or to use different colours and textures. Effects like blood and gore can also be added. Be creative! Or better yet, let us help you. Follow us on Facebook or Instagram to see how we use Makeup Geek pigments to create awesome Halloween looks, and if you’re looking to transform your costume into something amazing, get in touch. We’re booking Halloween makeup for men and women, but spaces fill up quick so make sure you book now! Ben Nye MagiColor in White and Black were used to airbrush the skull. Model’s own scarf was used to add some fun colour to this sinister creepy look. 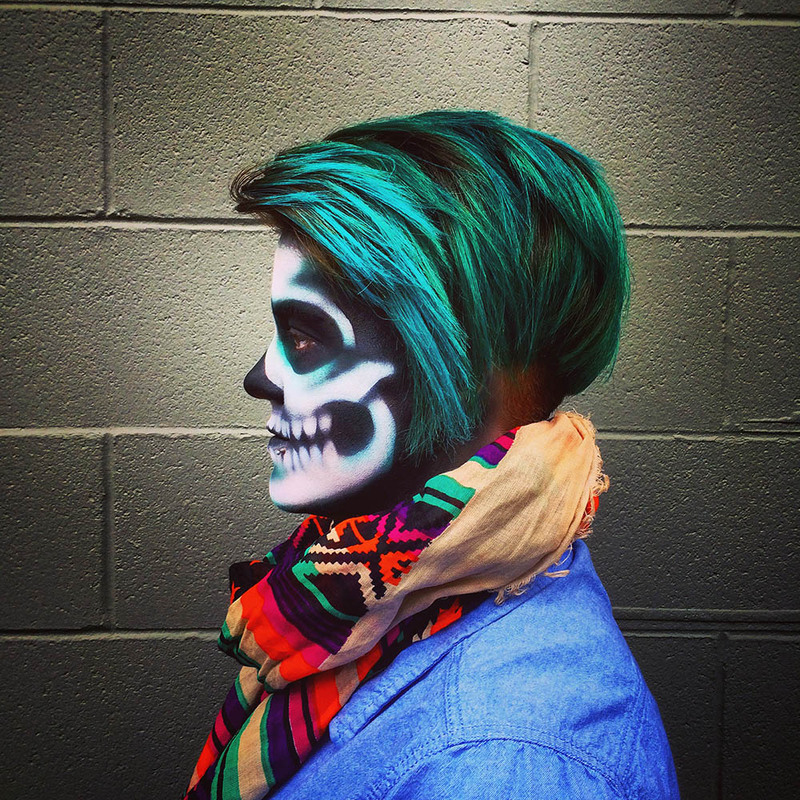 Green shading (Makeup For Ever Pure Pigment #18) was added to the skull to incorporate the model’s hair colour.